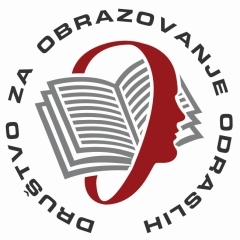 The publication Adult Education in Western Balkans – An Empirical View – is part of the regional project „Confintea VI Follow-up“ of the network of DVV International offices and partners in the region of south-east Europe, supported by The German Federal Ministry for Economic Cooperation and Development (BMZ). This research provided more information about: who the providers are of adult education programmes in the Western Balkan region, what their orientation is in terms of their programmes, how they are financed and what their attitudes are towards quality in the delivery of their programmes, who the facilitators of these programmes are, what their employment status is and what attitude they have towards their own professional improvement. In preparing for the research, almost 3000 providers of adult educational programmes and activities were recorded. This database alone is a significant result of this project, offering a basis for some future, more comprehensive study. Author: Miomir Despotović. Belgrade, 2016. Publication is available in English and Serbian.